Everest Crane & Lift Services has the heavy equipment to provide the aerial platforms and lifting you need for your residential and commercial projects. 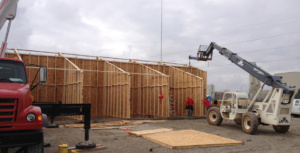 Everest Cranes can be used for setting HVAC units, trusses, carpentry work, and more. We have two cranes available: a 33-ton crane with 127 feet of stick, and a 28-ton crane with 94 feet of stick. Not sure which crane you need? Let us know how much you need to lift and how far it will be moved and we’ll make a recommendation. 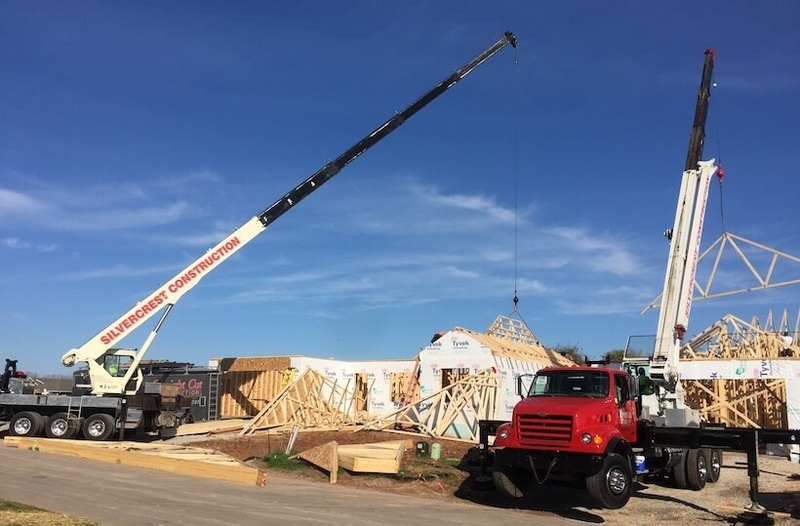 Both cranes undergo vigorous annual inspections to OSHA specifications, and when you rent an Everest crane, you also get the benefit of an experienced, trained operator. Cranes, all-terrain forklifts, and snorkel lifts are available all week long for very reasonable hourly rates—and there’s no limit on how long you can rent them. When you choose heavy equipment from Everest Crane & Lift Services, you can trust that you’ll get dependable equipment and on-time service. Contact us for pricing and scheduling. View examples of our commercial projects. Get started with home designs, floor plans and photos in our gallery of custom and semi-custom homes. Contact us directly for answers to all of your residential and commercial construction questions.